So Budo Kai is the name of our international martial arts organization, represented by five independent dojos, with its own art form, lineage and license. The "So" which appears in So Budo Kai means all-encompassing. 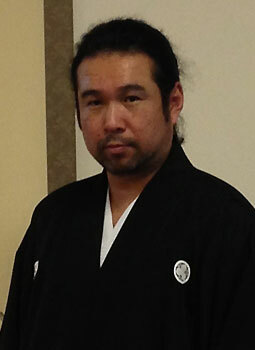 Budo is mentioned above and Kai is association or meetings. Thus, So Budo Kai is an "Association for a Comprehensive system of Budo." This name was created by So Shihan Sakimukai in 2008, but the first art form and the foundation of So Budo Kai, the Chintokan Dojo, Okinawan Shorin Ryu Karate-Do, was originally established in 1962, Osaka, Japan, by his father Soke Masaharu Sakimukai. Then two decades later, his father added three more Budo to the Chintokan Dojo: 1) "Beikoku Shudokai" - Shindo Muso Ryu Jodo, 2) "Kenbukan Iaido" - Mugai Ryu Iaihyodo, and 3) "Ryukyu Kobudo Kai." Lastly, in March 2015, after five preparatory years, a fifth Budo "Aikido" officially joined So Budo Kai family. So Budo Kai is a hybrid of Koryu Bujutsu (ancient combat system) and Gendai Budo (traditional and modern sport). Mixing martial arts is certainly not new; cultures across the world, including Okinawa, have been doing so for many centuries. We do not, however, mix our curricula. Training in a few different martial arts styles and keeping curricula separate is also not new, as this was the way for many of the samurai warriors in ancient Japan. How are we different? Simply described, we place the highest regard on the Dignity of the Weapons -- hands & feet included. We aim to develop a strong mind, spirit and body through our traditional and modern curricula. 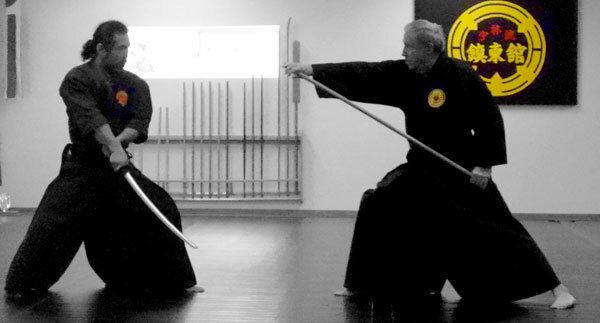 We reinforce the mindset of the "Dignity of the Weapons" and Budo etiquette (Samurai Code) - to all members of our dojo, for whom we provide these weapons, hands and feet included. We believe it is very dangerous to hand a weapon to someone who lacks the discipline, self-worth, and understanding of the formality of the weapons. They may not plan to hurt anyone themselves, nevertheless if they don't understand these principles, then they may take these rules too lightly and err in their judgement. Our system contains the necessary fundamentals to keep us on the right path.